Hawaii is a slice of paradise. There’s a reason why so many vacationers choose one of the Hawaiian Islands year after year – it’s that beautiful. If you’re thinking about making your next trip a trip to Hawaii, you’ve found the right article. 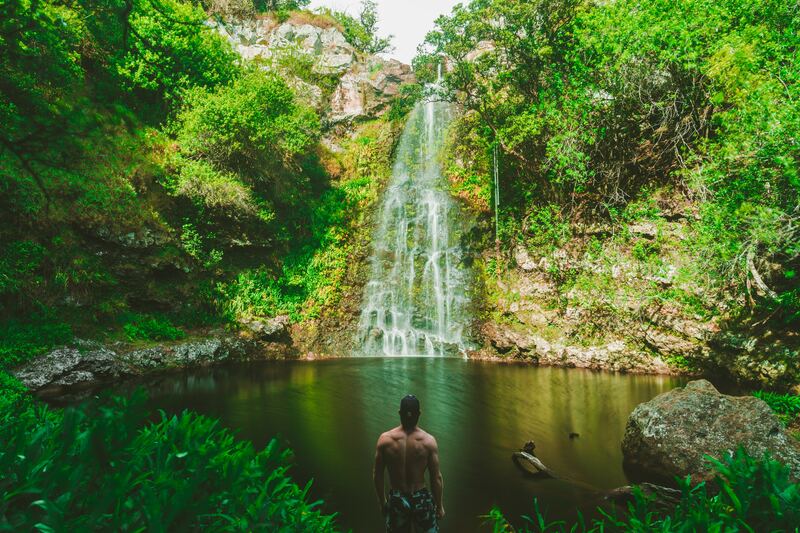 Take a look at these 5 things you need to do when you visit Hawaii. 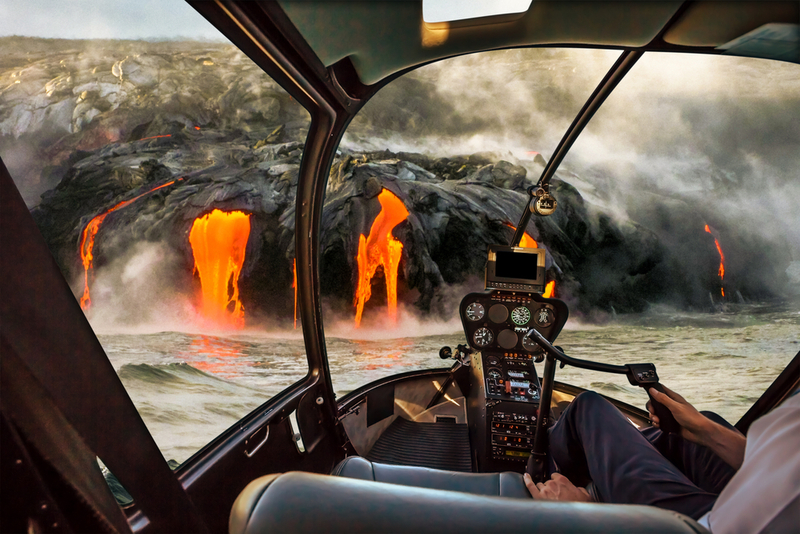 This is, arguably, the most amazing helicopter ride in the world. And Blue Hawaiian Helicopters does it best. The Na Pali Coast is world renowned. It’s one of the greenest, most lush places you’ll ever see, and taking a helicopter ride is truly the best way to experience it. It may look weird, and it may feel weird, and that’s because, well, it is. 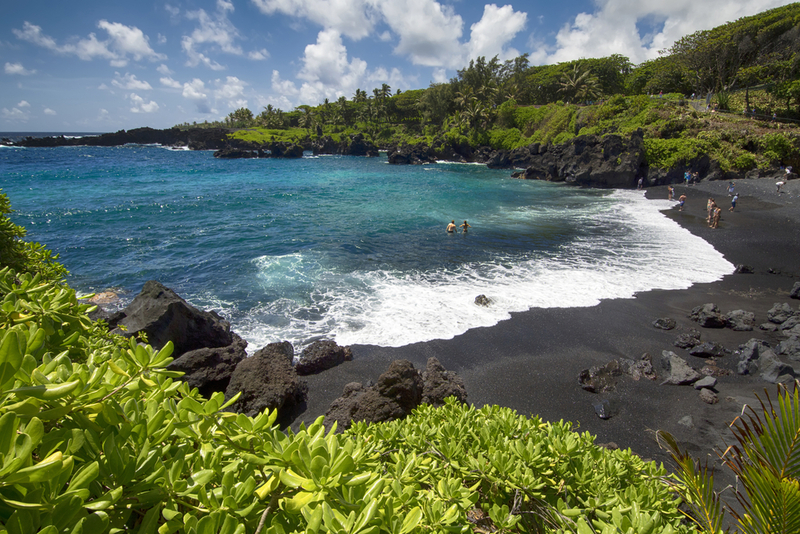 There aren’t many beaches in the world that look like this (though Punaluu in Maui is also a must visit black sand beach). There are amazing views at the top, but equally amazing is the rush you’ll get as you bike down. Here’s a video shot by Ian Hartley to give you an idea of what you’re getting yourself into. There’s nothing like watching the most active volcano in Hawaii erupt molten lava into the sea. Actually, Kilauea isn’t just the most active volcano in Hawaii – it’s the most active in the entire world! Take a trip off the coast by boat and get up close and personal to see some of the hottest views of all the islands. 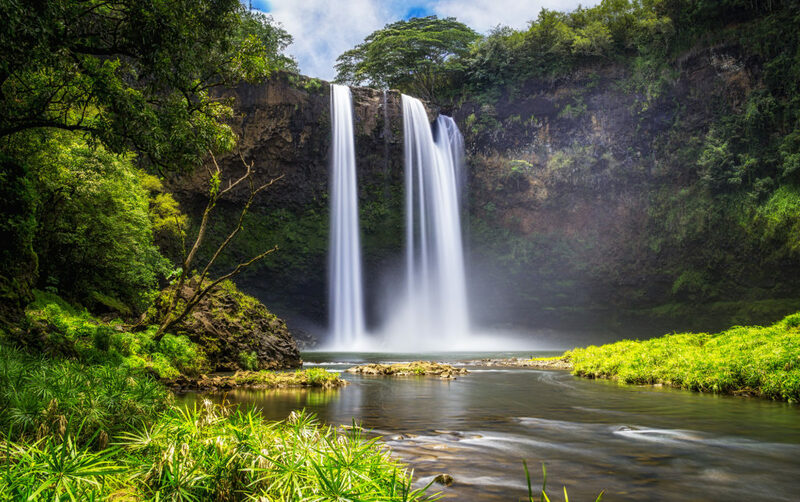 At the south end of the Wailua River sits the twin Wailua Falls. 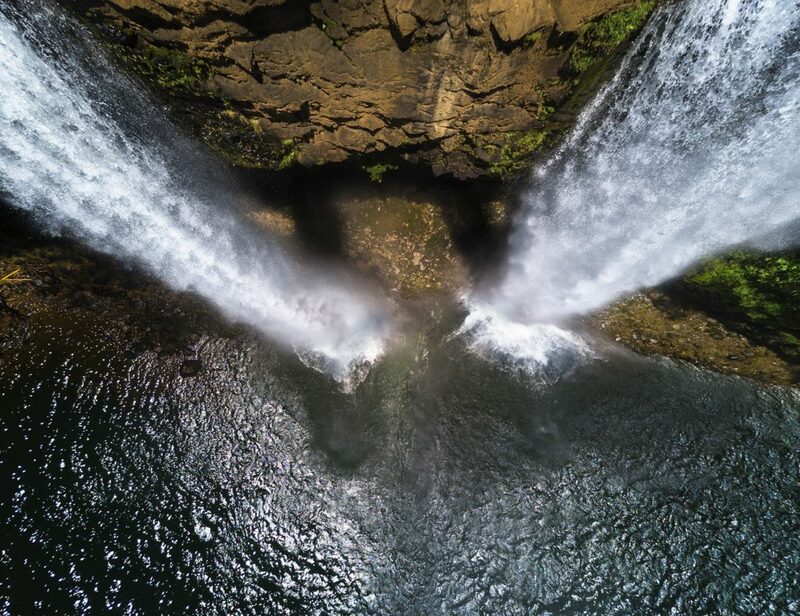 You’ll probably recognize the two streams from the opening of the long-running television show “Fantasy Island.” If you’re lucky, you’ll be able to spot a rainbow as the sunlight hits the waterfalls. Get there early to maximize your chances. For more information on this hike check out the Outbound Collective.